15-foot-tall robots coming to a reality near you! BOSTON, MASS. — Three engineers are leading a team building fifteen-foot-tall, fighting humanoid robots in Boston, Mass., and they are asking the public for help to pull it off. It might sound like science fiction, but it’s not. Experienced and talented engineers and entrepreneurs Andrew Stroup, Gui Cavalcanti and Matt Oehrlein have teamed up to turn these robots into reality. At the end of October, they will launch a Kickstarter campaign to take things to the next level. “People keep asking us, ‘Why build giant fighting robots?’” said Andrew Stroup, Co-Founder of MegaBots, Inc. “Our answer is always, ‘Why not?’” All three were raised on video games, movies and science fiction stories that included giant robots, and decided that it was time to turn their skills to good use. 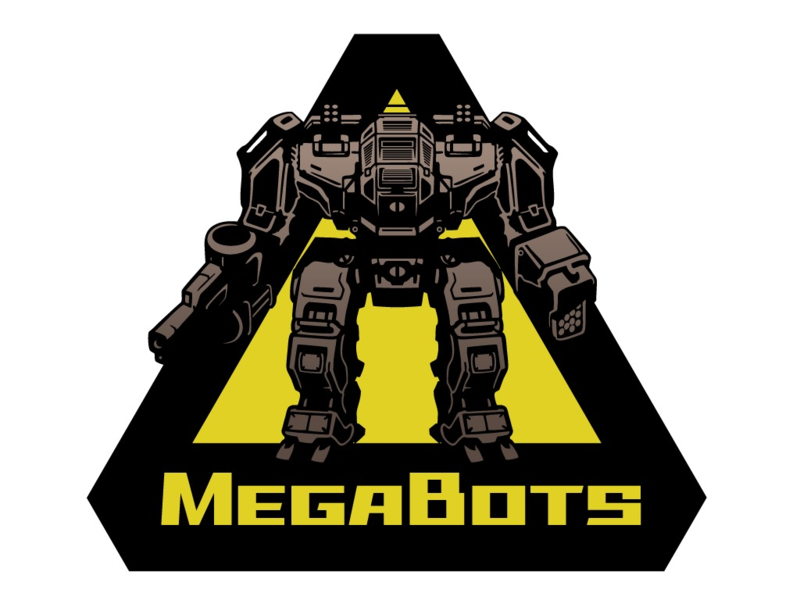 Since the start of summer, they have built a fully functional torso, cockpit, arm, and two main weapons system of a MegaBot. The cockpit seats two adults, a driver who controls the robot’s movements and the gunner who commands the weapons systems. 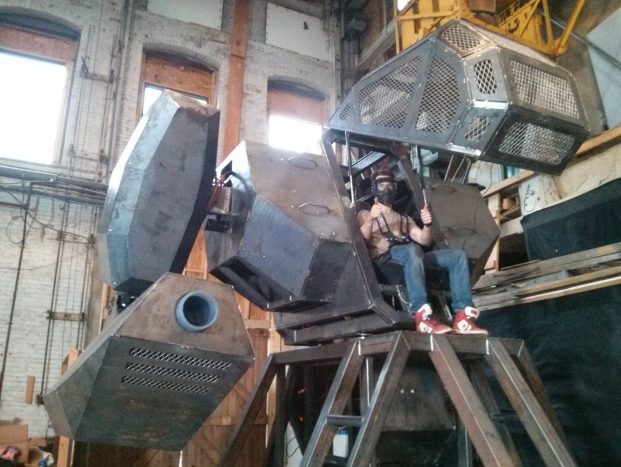 The MegaBots team has completed parts of the dream. Soon, they will ask the public for help with the launch of a Kickstarter campaign. Dieser Eintrag wurde veröffentlicht in Crowdfunding, Development, English, Events, Fun, General, Hardware, Pictures und verschlagwortet mit crowdfunding, Event, GiantRobots, Kickstarter von Sebastian Trella. Permanenter Link zum Eintrag.